Text only browsers have been around for quite a while though the vast majority of the computer users hardly know that they exist leave alone where they are applied. This article will look at some of the best soft wares in the category of text only browsers, their area of application as well as the features. Therefore, in the end, you should be in a position to find the perfect software for your use. Lynx Viewer is a text only browser that has come to be widely accepted and utilized when it comes to this category of soft wares. It is one of the ways to ensure that your site is compliant as it gives the ability especially for the blind to be able to access the site. 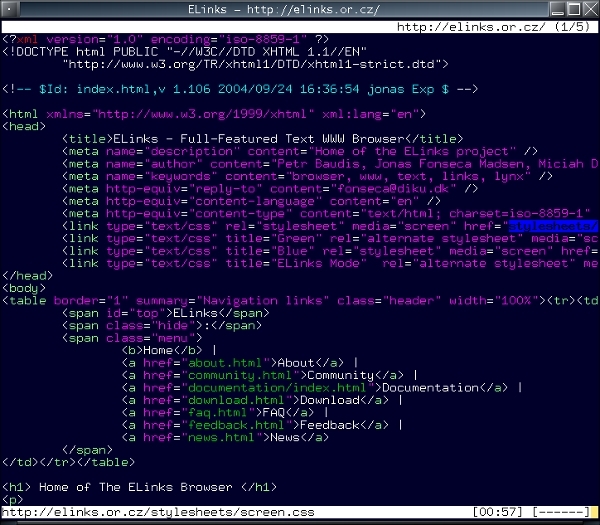 ELinks is a text based web browser that allows you to access the web pages without the inclusion of the various styles and images. Essentially, this tool can be used to lower the amount of data consumed while loading especially on the metered and slow connections. It is open source and customizable. Twibright is a graphic and text based web browser that has text only capabilities to ensure that it is capable of more features. The browser comes with a lot of features all of which are enabled to ensure that you have a smooth browsing experience in this unique mode. 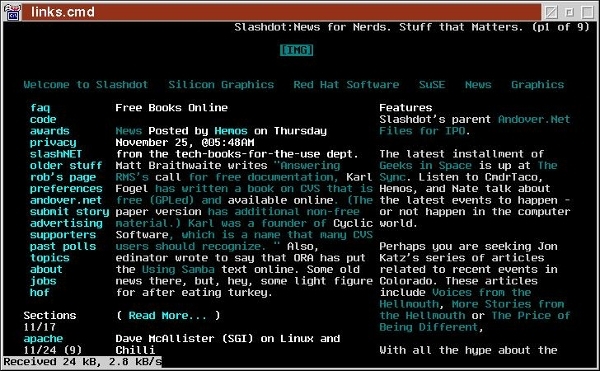 Text Web Browser is a text only web browser from W3dt that aims at bringing a unique experience to the users. Text Browser supports many features such as HTML Tables & Frames, support FTP & HTTP protocols, and SSL support. As a result, the browser is very versatile and powerful. With some of the soft wares available for the purpose of text-only web browsing, they can be only found online as a web-based application. This makes them cross platform and thus removing the need to have to install another program to run them. However, some require being installed and run on the particular platform. Text Browser is a software for the Mac platform that allows users to access websites in text only mode. This is one of the best software in the category and makes it easy and interesting to perform various applications. The software is designed to be compatible with both iPhones and iPads. 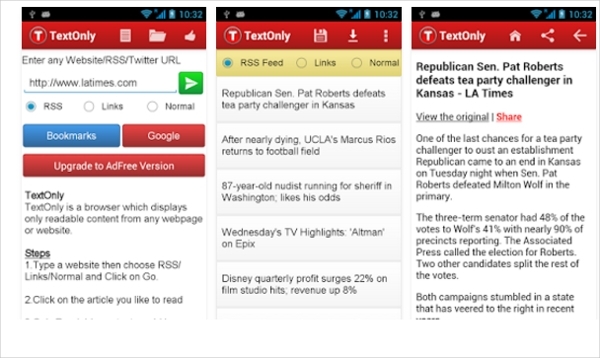 TextOnly Reader Pro is an App for the Android devices that makes it possible for users of the App to view webpages in text-only mode and thus offer a lot of more functionalities. With the App, it is possible to reduce the amount of data consumption with up to 90%. Text-Only Mode is an extension for the popular Google Chrome browser. From the fact that this is the most popular and widely used browser in the world, its extension is also equally popular and with lots of functionalities. With this, the need to install another program for this purpose is eliminated. What is a Text Only Browser? 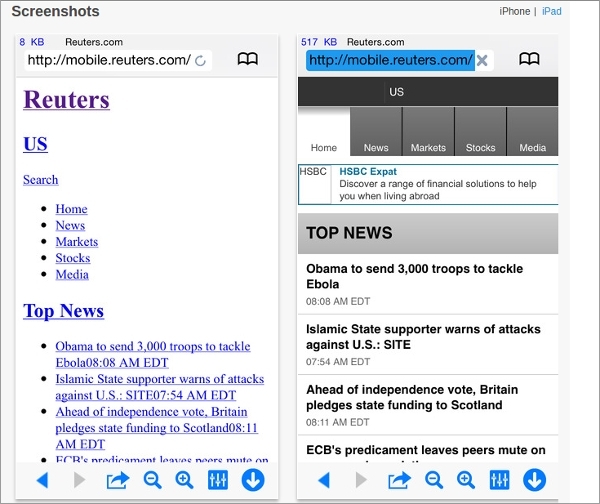 A text only browser is an application that makes it possible to view the browser in text mode. Essentially, it is a program that will strip all the enhancements and images on a web browser leaving only the core of the site and thus increasing the efficiency of loading the web page. With some of the tools dedicated to this, there is saving on the rate of data consumption by up to 90% making them an ideal solution especially in the event there is a slow internet connection or on metered networks. It is also used to assist the blind access the web in combination with other tools. It is evident that text only web browsers are an important piece of the web community. This is from the numerous applications that are made available. The fact that you will get the same information and accuracy makes them not in any way less of the browser.